Classic Design，it gives you a real pen feeling. the excellent weight leads to a luxurious feeling in your hand. Longogo stylus pen is the best helper for kids in education and entertainment, for taking notes in class, for drawing etc. Whenever or wherever you are going to edit or record or paint, then click Longogo stylus pen to start. It is amazing that Longogo stylus pen can be used so easily and naturally just like you use a real pen. The 0.08 inch Ultra Thin Tip allows you to select the small icons, click the small alphabet and gives you the accurate selection. It's also perfect for drawing apps. 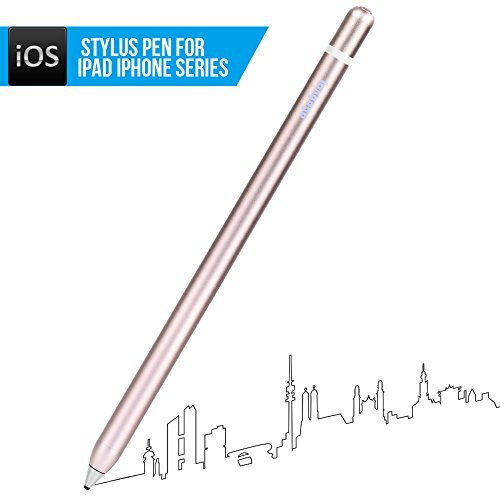 Longogo stylus pen is a smart pen which integrates a lot of new technology to meet the requirement of writing or painting on iPad and iPhone. It means anyone can use smart phone or pad as paper with Longogo stylus pen. Please don't tip downwards when the stylus pen is falling. If you have any questions about this product by Longogo, contact us by completing and submitting the form below. If you are looking for a specif part number, please include it with your message.